RCS Electrical Services is a supplier of standby generator parts. 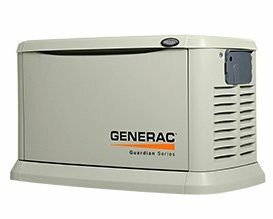 From Generac, to Kohler, Briggs and Stratton, Onan, Cummins, Caterpillar, Detroit Diesel, and others, rely on us when you need to buy new parts for your standby generator. If you generator has stopped working or is in need of service, contact us. We also service your generator. We service all types of generators including backup, portable, and standby. Click here to request generator service. Or click here to fill the form to order generator parts. These Is A List Of The Standby Generator We Supply Parts For. If you need assistance installing your generator part, please contact us, and let one of our certified technicians make the installation for you. Oftentimes making an installation appears to be easier than it is. Our technicians are well trained and very knowledgeable of proper installation procedures. Also technicians can tell if your part has been damaged by other malfunctioning part or device in your system. Click here if you need your generator part installed by our technicians. RCS Electrical Services accepts no returns on any parts purchased. Most manufacturers assess a very high fee for parts returns or they do not accept them at all. We recommend that you verify that your generator positively needs the part that you are ordering so that you are not buying unnecessary parts. If you purchase a part that you don't need, we recommend that you save it as a spare part for future use. We also recommend that you check to see if there may be other parts that are causing this one to fail. Otherwise you may be buying a part and when you install it, it may be damaged by other malfunctioning part. This happens most often with electronic parts such as control boards or voltage regulators. RCS Electrical Services expedites all part orders to have them shipped as quickly as possible. At times a manufacturer may be out of stock and the standby generator part may take several days or weeks to arrive. When this is the case, we will be contacting you via email to give you notice when the propane, diesel, or natural gas standby generator part is shipping from the manufacturer. Coconut Creek, Cooper City, Coral Springs, Dania Beach, Davie, Deerfield Beach, Fort Lauderdale, Hallandale Beach, Hillsboro Beach, Hollywood, Lauderdale Lakes, Lauderhill, Lighthouse Point, Margate, Miramar, North Lauderdale, Oakland Park, Parkland, Pembroke Park, Pembroke Pines, Plantation, Pompano Beach, Port Everglades, Sea Ranch Lakes, Southwest Ranches, Sunrise, Tamarac, West Park, Weston, and Wilton Manors. Cleveland, Grove City, Harbour Heights, Palm Island, Placida, Port Charlotte, Punta Gorda, Rotonda West, and Solana. Altoona, Astatula, Astor, Bassville Park, Clermont, Eustis, Forest Hills, Fruitland Park, Grand Island, Groveland, Howey in the Hills, Lade Lake, Leesburg, Mascotte, Minneola, Montverde, Mount Dora, Mount Plymouth, Okahumpka, Paisley, Sorrento, Tavares, Umatilla, Yalaha. Anthony, Belleview, Citra, Dunnellon, Eastlake Weir, Fort McCoy, Hog Valley, Kerr City, Marion Oaks, Ocala, Ocklawaha, Orange Springs, Pedro, Reddick, Romeo, Salt Springs, Silver Springs, Shores, Summerfield, Weirsdale. Bardin, Crescent City, East Orange, East Palatka, Florahome, Fruitland, Georgetown, Hollister, Huntington, Interlachen, Lake Como, Melrose, Orange Mills, Palatka, Pomona Park, Putnam Hall, San Mateo, Satsuma, Welaka.